Enlisted: 28-7-1916, R.A. Show Grounds, N.S.W. Enlisted: 17-5-1916, R.A. S. Grounds, N.S.W. Next of Kin: Brother - J. J. O'Brien, 7 Muskegow, Michigan, U.S.A.
Enlisted: 13-9-1914, Roseberry Park Camp, N.S.W. Embarked: 29-12-1915, Melbourne, Victoria per "Demosthenes"
Embarked: 5-5-1916, Sydney, N.S.W. per "Karroo"
Son of Mary O'Connell, 212 Farnham St., Lawrence, Massachussetts, U.S.A. Son of Daniel and Mary O'Connor. 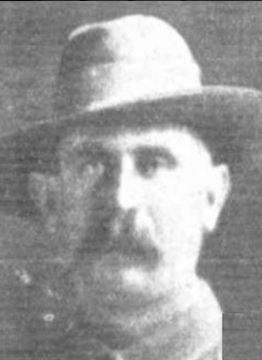 Husband of S. O'Connor, 56 William Street, Paddington, N.S.W. Died of Wounds 30-8-1915, Gaba Tepe, Hospital Ship "Gloucester Castle"
Husnband of Gertrude O'Connor, Renwick Street, Marrickville, N.S.W. Son of Edward and Mary Anne O'Connor (nee Sinnah). Embarked: 10-5-1917, Melbourne, Victoria per "Boorara"
Son of James & Elizabeth O'Connor, Urquhart St., Woodend, Victoria, Australia. 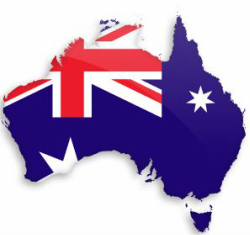 Embarked: 24-9-1914, Brisbane, Queensland per "Star of England"
Embarked: 11-1-1916, Adelaide, South Australia per "Borda"
Embarked: 30-10-1916, Fremantle, Western Australia Per "Port Melbourne"
Son of Patrick & Catherine O'Donnell, High St., Shepparton, Victoria. Embarked: 10-11-1915, Melbourne, Victoria per "Ascanius"
Embarked: 6-11-1916, Adelaide, South Australia per "Afric"
Group portrait of members of the 17th Reinforcements of the 27th Battalion. Left to right, back row: 6171 Private (Pte) Harold Willis White; 6124 Pte Edgar Leonard Nourse; seated, 6183 Pte Thomas Henry O’Donnell; 6115 Pte Edward Colman Mugge. All members embarked from Adelaide on 6 November 1916 aboard HMAT Afric (A19) for Plymouth, England. 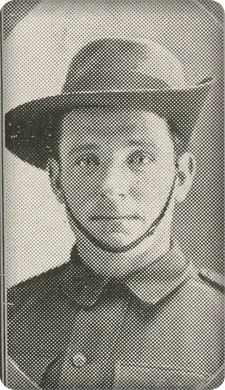 Pte O’Donnell, a bank clerk from Angaston, South Australia, prior to enlistment, trained with the 7th Training Battalion in England before proceeding to France in July 1917 where he was transferred to the 50th Battalion. Pte O’Donnell was killed in action on 28 September 1917 near Zonnebeke, Belgium. He was aged 27 years. The other three soldiers survived the war and returned to Australia in July 1919. Son of Edward & Mary O'Donoghue, Lakeview, Marlfield, Clonmel, Tipperary, Ireland.